Schmeckt Gut is going to introduce a new product Schmeckt Besser energy bar in Atollia. In order to launch the product, the company must conduct a market research to understand the demand of the product. The company must follow some principles to do this job. There are ten main principles that the company can follow such as people make tradeoffs, People giving up something while choose a new thing, rational people think about the margin and incentive can attract the people etc which must be considered by the company. Here people’s choice plays a key role whether the new product, Schmeckt Besser energy bar can capture the market of Atollia or not. Therefore, the aim of the study is to conduct a proper market analysis, which would help them to know the market demand of the product, choices of the consumer and the nature of the market. Market analysis must have to be done based on data that may be primary data or secondary data. In this report, the company can be able to show the different projection, as there may be an increase in income, tariff and inflation rate. For example, here in the report the company is showing that 5% increase in income, 10% increase in tariff and 2% increase in inflation rate. The overall increment is not viable for the company as because when the Government increase tariff rate by 10% then there will be a hike in the price of the product. It is to be noted that the increase in the inflation rate also leads to the decrease of the purchasing power of consumer (Kremer et al. 2013, p.861). As a result of this there will be a small increase in the company’s income i.e. only 2%. Without the supply line, a company cannot able to go forward; so a strong supply line is very much needed. Here Schmeckt Gut must be aware about the supply line first and they have to choose a better production process that helps them to increase or decrease the supply of their product according to the market demand. A highly equipped production process can help the Schmeckt Gut to change the quality of their product and the nature of the product instantly according to the market demand. In reference to the options of Obizhaeva, A.A. and Wang (2013, p.1), it is indicated that, a better supply line can change the power of the company and it help the company to become the ruler of the market. Supply of the company is also increasing in every year as in the year 2011 the total supply is 60 but there is increase an increase in 2012, 2013, 2014, 2015 and in 2016 also. Demand analysis is a too tough task for a company, so Schmeckt Gut must be careful to the demand analysis the supply line of the company depends on the market demand of the product. He and Zhao (2012, p.106) stated that in order to make a strong supply line, company has to spend more time on the demand analysis. For the better analysis, company may take the help from primary data and secondary data. Here to understand the market demand the company must aware about the choice of the consumer which will be reflected in the market demand. The new product that is going to be launched is made based on the consumer choice and if it is able to fulfill the need of the consumer then it will become a success of the company. According to the data the demand of the product is increasing every year as in 2011 the demand was 1146.814 and in the year the demand increased from its to 1261.1, but there is a small fall in 2016 which is 1241.937. According to Rexhausen et al. (2012, p. 269), aggregate demand can be defined as the summation of the individual market demand. The company work based on aggregate demand and supply. Aggregate demand is the demand of a state or country as a whole where the product of the company going to be launched. Here the company Schmeckt Gut will consider the aggregate demand of the Atollia. The company has to spend money and time before the production to know the aggregate demand of Atollia. To know more about the aggregate demand of Atollia the company can go for the primary data and in order to do so the company has to choose a proper sample if the population size is large. As Rao (2016, p.55), indicates in the work, in contrast to aggregate demand, aggregate supply is the summation of the supply of all company who are producing the same product or the homogenous product in nature. A company cannot be able to supply according to the aggregate demand, so by the aggregate supply the market will be divided. Aggregate supply decides the market share of a company, which make profit, or loss of the company. Schmeckt Gut must be well aware about the aggregate supply because it helps the company to know the market share that is very much required for the company. In case of increasing market share, the company has to concentrate on its own supply that can help the company to become market ruler. When the company will able to increase, the supply only then the company can influence the aggregate supply and the price of the product (Canto et al. 2014, p.23). Benati (2105, p.15) points out that the Phillips curve shows the short run tradeoff between unemployment and inflation as there is no such relation in long run. As there is an inverse relationship, exist between inflation and unemployment. The Phillips curve analysis help the company to understand the basic scenario of the market trend and the weather of the market like whether there is inflation or depression in the market. 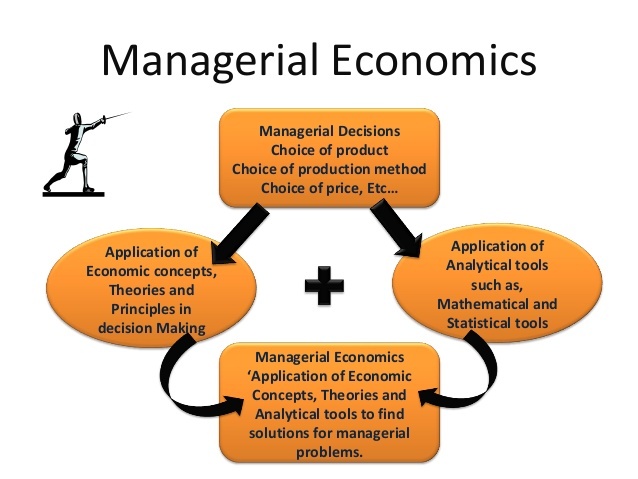 It also helps the company to understand the factor market mainly the labour market (Econlib.org, 2016). A company’s Phillips curve can be drawn based on the aggregate demand and the aggregate supply of the company. A company’s Phillips curve can be altered if there is a change in wage of labour or there is a change in the demand of labour. Therefore, a complete Phillips curve analysis can help Schmeckt Gut to know about the labour market and the wage structure, not only that it also tells about the scenario of the overall economy. According to de Oliveira and Costa (2015, p.29) the Laffer curve mainly shows the relationship between the economic activity and taxation. It helps Schmeckt Gut to analysis the two interacting effects of taxation i.e. arithmetic effect and economic effect (The Balance, 2016). In case of arithmetic effect, there is immediate result in the company’s revenue and in case of economic effect; there is a long-term effect in the company’s revenue. Laffer curve is counted as the supply side interpretation for the company. Laffer curve analysis is very much important for the company to analysis the revenue of the company, but there is a problem that the company must depend on the government because the tax structure is decided by the government. Beer and Boswell (2015, p.30) observes that the effect of income development on the economy can have its negative as well as positive impact. Studies suggest that due to the growing rate of income there has been a reduction in the growth of the economy. This is because income growth normally leads to unequal growth in the economy. The increase in the level of income inequality leads to lower transitional GDP per capita. The gap between the rich and poor countries can be measured with the rise in the income level in an economy. However, the companies have a positive effect due to the rise of income. The rise of income in a company is mainly due to good quality of products and the positive attitude of the employees working in the company (Forbes.com, 2016). From the analysis, it can be seen that Schmeckt Gut have witnessed a steady development of income in the last 5 years. This has a positive effect on the business of Schmeckt Gut as the steady growth income implies that the products or services they manufacture are of excellent quality. Customers like to purchase that product and thus it resulted in the increase of income. From the analysis, it is seen that the year of 2015 saw the highest income level of the company. This may be due to the cause of good quality services rendered by the company. Motivated employees also form a reason behind the increase in income. The analysis shows that the third quarter of the year 2013, saw a decline in the income of the company. This may be due to the reasons for manufacturing monotonous and predictable items. Customers tend to prefer other items that promise new and innovative techniques. However, the fourth quarter of the year 2015, saw the highest demand of the products of Schmeckt Gut. Such a rise may be mainly due to the technological advancement and the innovation techniques of the manufacturing of the products. Overall, it can be said that the rise of income had a positive effect on Schmeckt Gut. It helped the motivation of the employees and helped developed the infrastructure of the company. The development of inflation rate reduces the purchasing power of the customers. This is mainly because of the increase in unemployment. Due to inflation, the companies find it difficult to plan their financial spending thereby causing the companies to earn less revenue (Galí 2015, p.33). The companies aim to reduce the excess work force in order to develop on some other aspects on the company, like the production of quality materials. The Government of the country controls the rate of inflation. Hence, the companies have to take into account the political factor before investing their business in that country. Based on the findings from the analysis, it is observed that Schmeckt Gut witnessed a rise and fall of inflation rate in the last five years. The inflation rate was as low as 6.56 in the year 2011 but increased by 4.99 in the next year. Due to this, the company underwent some changes in order curb the sudden increase of inflation rate. Schmeckt Gut went through a total process of eliminating employees who were unable to add value to the organisation. From the analysis it is seen that the rate of inflation reduced in the year 2013 and a slight increase in the year 2014, In the year 2015, the rate of inflation rose again, thereby prompting the company to think of innovative techniques to combat the rate of inflation. The rate of inflation in this year was the highest that the company faced in the last five years. Hence, the increase in the inflation rate may result in the reduction of work force thereby, the reduction of the production. The increase in the rate of tariff forces a company to sell a product more than the original cost of purchase. This reduces the customer level of a company, as the customers prefer to buy the best quality product at a minimum cost (Lavergne, 2014, p.55). The increase in tariff also forces the producers to cease the manufacturing of a particular product due to its less demand. This causes unemployment as the people involved in the manufacturing of that product lose their job. From the analysis, it can be seen that the rate of tariff development every year caused Schmeckt Gut to sell their product at a higher cost. The Government continuously increased the tariff rate in the last five years thereby making it difficult for the company to fix a particular price for the product. From the analysis, it is seen that in the year 2012, the Government did not force any changes in the tariff rate. This implies that the Government was happy with the rate at which the imports of the products were done. However, the analysis also shows that the rate of tariff was highest in the year 2013. This implies the rate of Government interference with the economy. The increase in tariff rate forced Schmeckt Gut to raise the prices of their product. During the years of 2014 and 2015, the Government reduced the tariff rate by a significant margin. Thus, this implies that the company had to struggle at naming their price and making the products suitable for the consumption of the customers. In this regression analysis, the company Schmeckt Gut assumes income of the dependent variable and tariff rate and inflation as explanatory variable. In this regression analysis adjusted R square is 0.600023 is not up to the market as it is not appropriate so the company will go for the change. Here the company is not considered any intercept term so here all is explanatory variable. The p-value is not so small so it is not appropriate for the company. Thus, it can seen that the board of directors of Schmeckt Gut must concentrate on increasing the sales of their product. The higher the sell of the product the better will be their income. From the analysis, it can be seen that despite an increase in the rate of inflation and the rate of tariff by the Government the demand of the products did not decrease. Usually, with the increase in the rate of inflation, the purchasing power of customers decreases. In this case, it is seen that the demand of the customers kept on increasing every year. Hence, it can be noted that the products of Schmeckt Gut have certain attractive power that draws the attention of the customers. The board of directors, need to ensure that the innovation techniques of the company does not cease due to the external factors that affect the growth of business. As the rate of tariff increased in order to maintain the revenue of the company must go for sales maximisation. This leads to the increase in the total revenue of the company. It also makes the company more stable. In order to keep their dominance in the market, Schmeckt Gut needs to increase their production to increase its own monopoly power. They can do so by innovating the quality of their existing products and they should spend more money on research and development of the existing market condition. 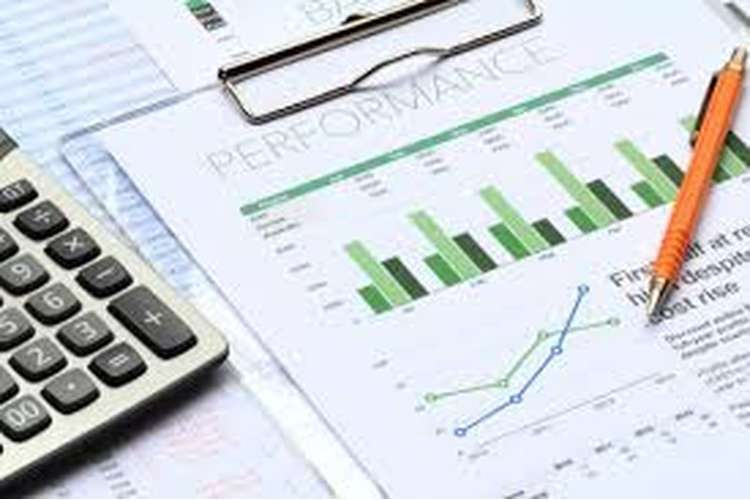 Moreover, the company should undertake the benchmarking procedure in order to set stipulated criteria in reference to the possible sales achievement. Thus, it can be concluded that the power of innovation and creativity in a product helps the development of an industry. The rise of inflation and tariff rates did not account for the loss of income level of Schmeckt Gut. The balance of the demand and supply of the products of Schmeckt Gut helped the company to maintain their status in the market. The managers of the company need to focus their attention on continuing manufacturing the quality of products and ensure that they make the right decisions during the unforeseen increase in the rate of the economic factors. Beer, L. and Boswell, T., (2015). The resilience of dependency effects in explaining income inequality in the global economy: a cross national analysis. Journal of world-systems research, 8(1), pp.30-59. Benati, L., (2015). The long-run Phillips curve: A structural VAR investigation. Journal of Monetary Economics, 76(2), pp.15-28. Canto, V.A., Joines, D.H. and Laffer, A.B., (2014). Foundations of supply-side economics: Theory and evidence. Cambridge: Academic Press. de Oliveira, F.G. and Costa, L., (2015). The VAT Laffer curve and the business cycle in the EU27: an empirical approach. Economic Issues Journal Articles, 20(2), pp.29-43. Econlib.org. (2016). Phillips Curve: The Concise Encyclopedia of Economics | Library of Economics and Liberty. Available at: http://www.econlib.org/library/Enc/PhillipsCurve.html [Accessed on 7 Aug. 2016]. Forbes.com. (2016). Forbes Welcome. Available at: http://www.forbes.com/sites/eriksherman/2014/12/09/income-inequality-hurts-economic-growth/#79b0bcc461d6 [Accessed on 18 Aug. 2016]. Galí, J., (2015). Monetary policy, inflation, and the business cycle: an introduction to the new Keynesian framework and its applications. Princeton: Princeton University Press. He, Y. and Zhao, X., (2012). Coordination in multi-echelon supply chain under supply and demand uncertainty. International Journal of Production Economics, 139(1), pp.106-115. Kremer, S., Bick, A. and Nautz, D., (2013). Inflation and growth: new evidence from a dynamic panel threshold analysis. Empirical Economics, 44(2), pp.861-878. Lavergne, R.P., (2014). The political economy of US tariffs: An empirical analysis. Amsterdam: Elsevier. Obizhaeva, A.A. and Wang, J., (2013). Optimal trading strategy and supply/demand dynamics. Journal of Financial Markets, 16(1), pp.1-32. Rao, B.B., (2016). Aggregate demand and supply: a critique of orthodox macroeconomic modelling. Berlin: Springer. Rexhausen, D., Pibernik, R. and Kaiser, G., (2012). Customer-facing supply chain practices—The impact of demand and distribution management on supply chain success. Journal of Operations Management, 30(4), pp.269-281. The Balance. (2016). Why Tax Cuts No Longer Work. Available at: https://www.thebalance.com/what-is-the-laffer-curve-explanation-3305566 [Accessed on 7 Aug. 2016].